In a world built around fours, where the trinity of the United States government has been replaced by the Cardinalities of the Muses, Barbara finds a hidden symbol in yet another investigation and suspects foul play. But who can she trust? As she and her family dive into a blend of mystery and horror, they find that they are battling forces that reach to the very core of the world they believe in. Follow the family of four as they unravel the mystery and discover more about each other. CreateSpace print price: $6.75 if you use the discount code XMXXKGKU. 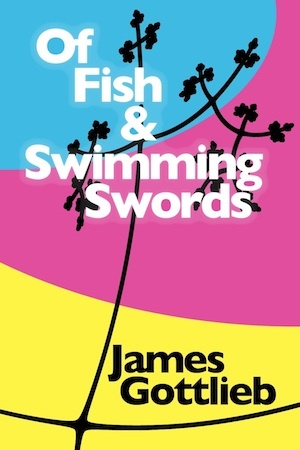 Of Fish and Swimming Swords is a short science fiction novel that I wrote as part of my master's thesis. My primary goal in writing the novel was to answer affirmatively Ursula K. Le Guin's question in her essay, "Science Fiction and Mrs. Brown," in which she discusses the nature of the science fiction novel and Virginia Woolf's concept of the novel as a study in character: "Can Mrs. Brown and science fiction ever sit down together in the same railway carriage, or spaceship? Or to put it plainly, Can a science fiction writer write a novel?" I wrote the novel with three main constraints in mind. First, I wanted a traditional plot with characters and relationships that would not be difficult to read and so take the focus off of the characters. Second, I wanted to explore an artificially constructed world that could provide its own meta-narrative even if I didn't focus on it in the text. By giving hints of it throughout the text, I hoped to fulfill my third guideline of enticing the reader into engaging with the text and producing a "scientific" reading through constructing narrative theories (or conspiracy theories) about what was going on "between the lines" of the narrative. This last element is crucial to my novel, similar to how the reader must interact with Coover's "The Magic Poker" or anime such as Boogiepop Phantom.